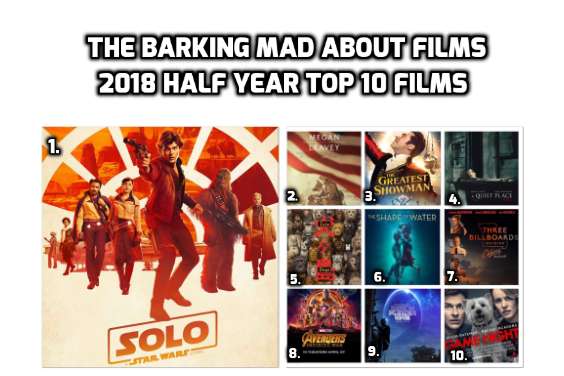 With so many great films still to come this year, we look at our highlights from the first 6 months! We found this unusual tale from Guillermo Del Toro a delight. Amelie with a sea monster, again like Three Billboards it won Oscars for a reason. This fantastic movie from the director of Blackfish went straight to DVD in the UK but this was a superb drama about a bomb disposal team that shows the love of a dog and its owner, just brilliant. Please ignore the haters on the internet, this really is a great fun heist which with all the problems off set whilst making, should never really have happened, we loved it!